Dear friends most of the WhatsApp users are eagerly waiting for WhatsApp video calling option, till date its not possible right? 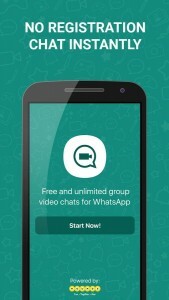 your wait time is over from today you can make video chat with your friends in HD Quality, this is not a official WhatsApp software. This video calling application is developed by Rounds Entertainment Ltd, The mobile application name is “Booyah Video Chat Mobile App for WhatsApp” this mobile application will run both Android and Apple Iphone based Mobile phones, the total download size of this mobile application is only 4.5MB and its Current Version is 1.0.12. 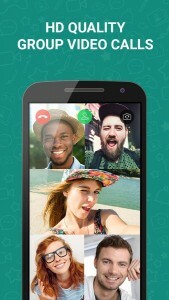 The Booyah video calling application is 100%‭ ‬free‭ so you don’t worry about spending any money for this application and its ‬totally private and secure and incredibly easy and fun to use‭, and interesting thing is that this application requires No registration‭, ‬No login‭ you can just do one tap to add friends and you’re good to go‭ with video call with your friends, interesting isn’t it??? For starting video call and chat with your friends you just need to install this application from Below links or from google play store or itunes . Once your Installation process is completed you can open it. Once you Open it you can create instant live parties with your friends and groups with just taping a button. You can do video chat with up-to 12 people in the same time and the screen will change and fit itself accordingly, based on the number of people currently in the chat. 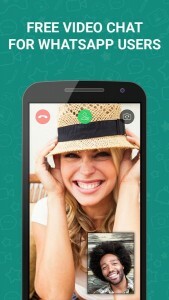 With this application you also can do one on one voice calls by closing your device while you chat. Disclaimer – Booyah is not affiliated, associated, authorized, endorsed by, or in any way officially connected with WhatsApp Messenger or any of its subsidiaries or its affiliates.